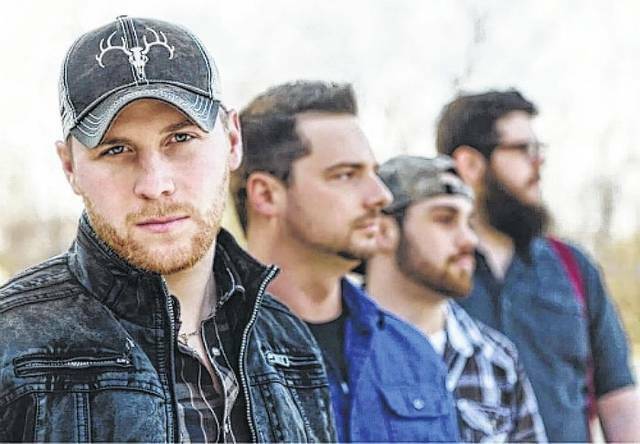 BUCYRUS —Two up-and-coming country stars will highlight the entertainment schedule at this year’s Crawford County Fair. It’s the 160th edition of this spectacle in Bucyrus. The fair runs July 16 through July 20. Kari Holmes is this year’s feature entertainer. 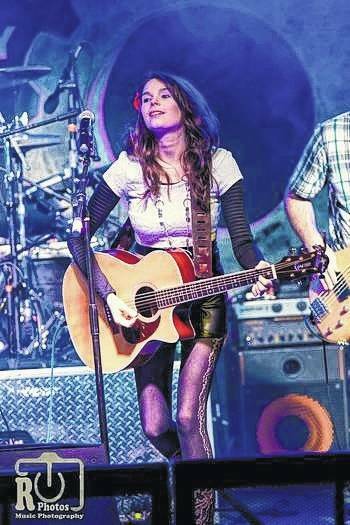 Described as a combination of Shania Twain, Taylor Swift and Carrie Underwood, she has had two big hits: “Something New” and “More from Me.” In 2016, Holmes was a nominee for Inspirational Country Music’s new artist of the year in 2016. Holmes will take to the grand stage Tuesday, July 18. “She is a really great performer,” said fair board secretary Rebecca Starner of Holmes in a previous Inquirer article. Tuesday evening’s entertainment will kick off with the Eric Sowers Band, out of nearby Sycamore. The band has opened for several national acts, including Joe Pardi, Eric Paslay and Brothers Osborn. The Eric Sowers Band takes to the stage at 7:30 p.m. Holmes will follow. The concert is free for fairgoers, if you sit in the grandstands. A pit ticket costs $10. The usual fair fare will be back. There are tons of animals, plenty of food, many kinds of entertainment, games, shows, exhibitions and more. New this year is a calf scramble, scheduled July 17, and Starner is excited about the attraction. So, what is a calf scramble? The website urbandictionary.com says: In many rodeos, there is often a calf scramble competition, where a herd of calves and a larger horde of teenagers are let loose in a ring. The teens try to catch, halter, and coax the calf into an specific area in the ring. Starner said there will be cash prize to win after the calves are harnessed. For younger children, there will be a chicken and lamb scramble. The calf, chicken and lamb scrambles are free. Participants need to register for the calf scramble prior to the event. You can do that by visiting crawfordcofair.com or by calling 419-562-7936. The always popular demolition derby will kick off the fair July 16. Tickets for the grandstand cost $5. Pit passes are $10. There will be two nights of harness racing again this year, July 19 and July 20. There is no cost to watch harness racing, unless you want to make a wager on one or more races. The tractor pull is Friday, July 21 and the KOI Drag Racing event has been moved to Saturday, July 22, the final night of this year’s fair, to allow for more time. Grandstand seats for the tractor pull are $5. The pit pass is $10. There is a pedal tractor pull for kids that starts at 11 a.m. Saturday, July 22. The drag racing is very popular. You can watch for free from the grandstands. A pit pass is $10. “You can race basically anything, so we have a lot of people who come to race,” said Starner. Admission this year to the fair will be the same as last year. It costs $5 to get in the gate, $25 for the week-long pass. Kids eight and younger are admitted free. Other events Starner is excited about include a popular wood carver and a glass blower. Those shows are free to watch. And there will be a Bengal Tiger Encounter this year. “There will be plenty of fun things for everyone to enjoy,” Starner said. Tuesday, July 18 is Family Appreciation Day. Wrist band for the rides are $5 that day, per session. Sessions are non to 5 p.m., and 6 p.m. until the fair closes for the night. Thursday, July 20 is Veterans and Senior Citizens Day. All veterans and senior citizens can just $2 at the gate Thursday. The traditional ham and bean supper for veterans is 5-7 p.m in the Youth Building. On Sunday, Jul16, starting at 9 a.m., is the fourth annual Crawford County Fair 5k Stampede/Walk. If you registered for this 5k event before June 30, it costs $15 and you got a t-shirt. Beginning July 1, registration is $20. For information, contact Heather Skaggs at mhskaggs@yahoo.com or call Holly Burge at 419-617-7774.